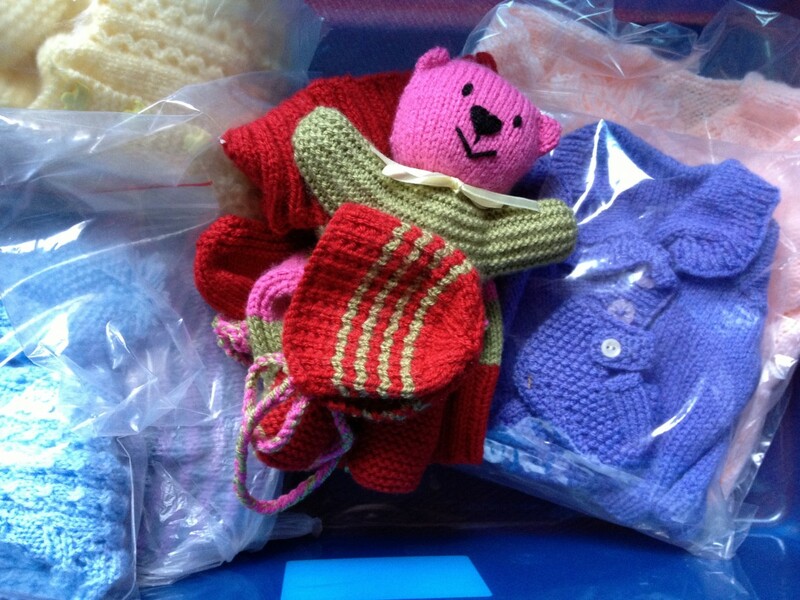 The layettes have started coming in and true to form our knitters have excelled themselves. This is just a handful of what we have had so far only a week after launching the campaign. My favourite is this little one complete with a charming teddy-bear. A mother and baby somewhere are going to be very happy with this gift. Do keep them coming in and we’ll keep you posted about where they end up.